Matthew10:16-39 Behold, I send you forth as sheep in the midst of wolves: be ye therefore wise as serpents, and harmless as doves.17 But beware of men: for they will deliver you up to the councils, and they will scourge you in their synagogues;18 And ye shall be brought before governors and kings for my sake, for a testimony against them and the Gentiles.19 But when they deliver you up, take no thought how or what ye shall speak: for it shall be given you in that same hour what ye shall speak.20 For it is not ye that speak, but the Spirit of your Father which speaketh in you.21 And the brother shall deliver up the brother to death, and the father the child: and the children shall rise up against their parents, and cause them to be put to death.22 And ye shall be hated of all men for my name’s sake: but he that endureth to the end shall be saved.23 But when they persecute you in this city, flee ye into another: for verily I say unto you, Ye shall not have gone over the cities of Israel, till the Son of man be come.24 The disciple is not above his master, nor the servant above his lord.25 It is enough for the disciple that he be as his master, and the servant as his lord. If they have called the master of the house Beelzebub, how much more shall they call them of his household?26 Fear them not therefore: for there is nothing covered, that shall not be revealed; and hid, that shall not be known.27 What I tell you in darkness, that speak ye in light: and what ye hear in the ear, that preach ye upon the housetops.28 And fear not them which kill the body, but are not able to kill the soul: but rather fear him which is able to destroy both soul and body in hell.29 Are not two sparrows sold for a farthing? and one of them shall not fall on the ground without your Father.30 But the very hairs of your head are all numbered. Satan and his demons cannot strike at God in His person but they can strike at His bride His beloved church. Persecution, decreed by God but perpetrated by Satan! Persecution has been a reality since the creation of man. 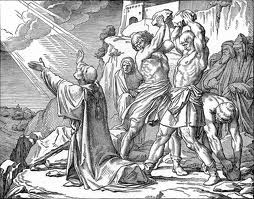 Cain killed Abel because God put enmity between the seed of the serpent, the reprobate, and the seed of the woman, the elect! So God is the author of persecution for His glory. Christ said it was blessed to be persecuted (Matthew 5:10-12). Our persecution reflects His, as we are part of His body (John 15:20). Persecution is inevitable for the believer (II Tim.3:12), it sifts the church (Matt.13:21). Paul took pleasure in it! (II Cor.12:10) because he knew God used it to purify him and make it a witness to others. Consider the effect Stephen’s martyrdom had on Saul! He, and we should bear it patiently (I Cor.4:12 and 1 Peter 2:23, 24). We are promised God will be a present help in our trouble (II Cor.4:9 and Psalm 91:15) and give sufficient grace. Religious people in false churches or false religions are often the perpetrators of persecution (I Thess.2:15), indeed the Antichrist and his kingdom will unleash the worst persecution in the history of the church. All this happens to fulfill God’s eternal decree. It is probably wrong to look upon those who suffer as victims, rather they are people entrusted with a gift that they are to use and indeed capitalize upon for their spiritual growth, comfort and assurance. They are counted worthy. They are privileged. But they still need our prayers and we benefit from theirs! “They break in pieces thy people, O Lord, and afflict thine heritage. They slay the widow and the stranger, and murder the fatherless. Yet they say, The Lord shall not see, neither shall the God of Jacob regard it.” Psalm 94:5-7What trouble befalls the people beloved of the Lord, whom He hath chosen for His inheritance! Their greatest blessedness makes them the special, selected target of the ungodly! They are the Lord’s peculiar people. As He has chosen them from eternity, so has He redeemed them by the precious blood of His Son. So He pours upon them and into them His Holy Spirit. The Spirit regenerates them, gives them faith, and out of that faith a living confession of the truth of God’s Word. Blessed by that Spirit they identify themselves with the cause of their God. His name they confess and His truth they declare. In His blessed ways they walk, children of their Father, the Most High. Their way is the way of godliness and holiness, showing the wonderful power of their God to redeem. But these are the very things that bring on them such fierce persecution. This Word of God explains. The ungodly wicked have an argument to make. In their vain imagination they set to prove that there is no God who will judge and condemn them for their sinful ways. They try to convince themselves with irrefutable proof that they can pursue their evil way with absolute impunity. What is their proof? The Lord’s heritage! The Lord has promised to preserve and keep His heritage. They are precious in His sight. His honour and glory are bound up with their welfare. Since He loves them with an almighty and eternal love, He will protect them and He will vindicate them. And the wicked make their gleeful boast. “The Lord shall not see, neither shall the God of Jacob regard it.” Theirs is the upper hand, the strength and power to afflict God’s heritage. Since God does not cast them down immediately, and since God does not deliver His people, there must be no God of Jacob. There must be no God who righteously judges and condemns sinners for their sin. But such vain boasting must surely die upon the lips of the wicked. God is a God of forbearance. Though provoked to wrathful vengeance by the wicked when they afflict His heritage, He waits for His time, the exact time of vengeance established in His glorious wisdom. Proof lies in the cross of our Lord Jesus Christ. How long God waited! Through ages and generations, how long His people waited in hope for the promise! Through ages they waited, while nations rose and fell, including their own. Through ages they waited, while bearing the hardships of the law imposed on them. Through ages they waited, while bearing persecution and oppression, from both within and without. But in the fulness of the time God sent His Son, and out of His love, He will send Him again, in the fulness of the time. An estimated 180,000 Christian people die for their faith each year! 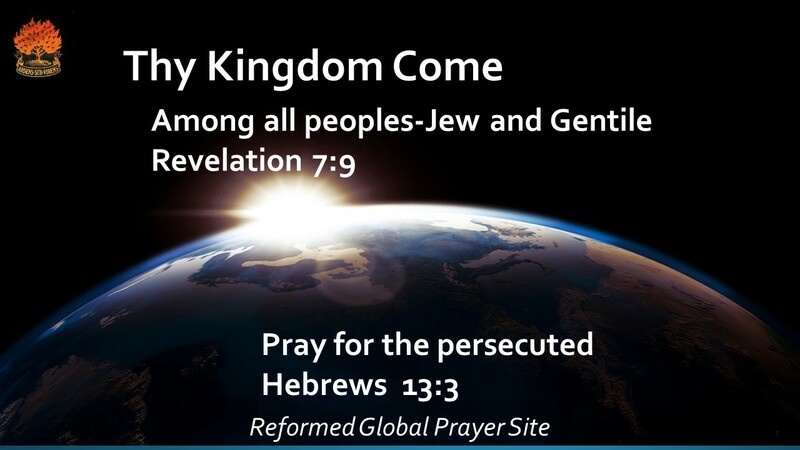 Prayer for the persecuted -are you committed? –listen to Rev. Carl Haak (of the Trinity PRCA church) on Sermon Audio on Persecution. As the Word tells us, we are one body. Yet precious few care for their persecuted brothers and sisters. There are many reasons why we should support our persecuted brethren by prayer and giving. It is a good work (Ephesians 2:10) and will be rewarded. I really appreciate that you are at least concerned! Persecution is concurrently a tragic and life-giving force. It is truly a mystery how in God’s kingdom, hatred, bloodshed, and murder produce love and life. Loved ones left behind are shattered and weep at the feet of Jesus, while in heaven, a martyr is welcomed home, embraced by love, and given a crown. Back on earth, the death of the martyr causes mostly fear among the Body. But in some, something deep and holy starts to come to life-a burning desire to live for heaven and our Father and to leave this world behind. They become willing to pay any price to see others find what they have found: a relationship with the blazing author of love himself, Jesus. Like one candle touching another, their hearts are set aflame by Jesus’ heart.They boldy share the Gospel and respond to hate with love. Those around them notice that an ambassador from some other beautiful world has arrived in their midst. They are drawn to them and Hell quakes! This light momentary affliction is preparing for us an eternal weight of glory…II Cor 4:17,18. My policy is to list all Protestant believers who are being persecuted and this may well include pentecostal, and other Arminian ‘believers’ whose actual spiritual salvation may be dubious! 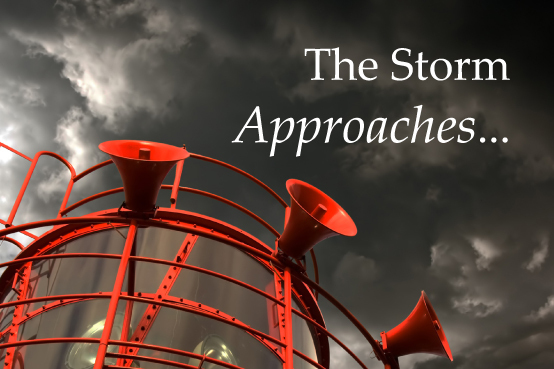 Here you will find a selection of stories that vividly illustrate the harsh and painful persecution endured by so many of our Christian brothers and sisters across the world. From a Christian man brutally beheaded by radical Muslims to yet another victim of Pakistan’s notorious “blasphemy laws”; from churches bombed out and believers kidnapped and killed in Syria to oppressed and vulnerable believers in the Maldives, the body of Christ across the world is often broken and bleeding. These Christians need our help.Obviously I cannot be sure every one of these folk is a true child of God, and some pastors have been exposed as heretics BUT we proceed by the judgement of charity. What a close connection there is between a godly life and prayer – Herman Hoeksema ‘In the sanctuary’. Listen to a clear message of the reasons for persecution on this link to Covenant Protestant Reformed Church YouTube site. John Calvin: “If at any time we are colder or more indifferent about prayer than we ought to be because we do not feel the pressure of immediate necessity, let us instantly reflect how many of our brethren are worn by varied and heavy afflictions, are weighed down by sore perplexity, or are reduced to the lowest distress. If reflections like these do not rouse us from our lethargy we must have hearts of stone” (Commentary on Ephesians). John Calvin: “If we then gather together all the miseries and adversities to which the church is subject and consider well the distress of each of our brethren, must it not of necessity be that we are more dull than brute beasts if we are not moved to pray to God, yes, even with a right perseverance? For though I may be at ease today, there are thirty thousand in great perplexity, and I make it very clear that I cut off myself as much as I can from the body of our Lord Jesus Christ, if I do not pity the members to whom I am joined” (Sermons on Ephesians, p. 686). What should be our attitude to persecution and our persecuted brethren? It is a sign of their faithfulness and of His favour and a gift of grace…. Phil 1:27-29. It is a token of salvation and conversely perdition. Rejoice and be glad because of their great reward. It is ultimately for the glory of God. How should we pray for our persecuted brethren? May the trial of their faith bring them forth as gold. God grant them boldness (Acts 4) and peace and faith through the Holy Spirit. God grant their loved ones comfort and supply their every need. Suggested prayers: …………Sovereign God, we worship you and acknowledge that you know all of those who suffer in your name. We remember those who are imprisoned for their faith and ask that they would join with the Apostle Paul to see that even though they remain captive, their chains have furthered the gospel, not frustrated it. May they inspire and embolden their fellow believers to speak the word of God more courageously and fearlessly. ……….God of all comfort, for those who are tortured both in body and mind, give them the grace to endure and to see their suffering as part of following in Christ’s footsteps. Merciful God, for those asked to pay the ultimate price; who are martyred because of their love for you, may they truly know Christ and the power of his resurrection and the fellowship of sharing in his sufferings, becoming like him in his death. …….. Father God, for those who are widowed and orphaned may they know the comfort that comes from your promised presence. even when they walk through the valley. May they be strengthened by your Spirit, enabling them to rejoice with the psalmist as they proclaim that the LORD will not abandon them in death.Heavenly Father, we ask that you would make us ever mindful of our brothers and sisters around the world who need us to stand with them. as they suffer in your name. Teach us what it means to overcome by the blood of the Lamb and by the word of our testimony; we pray that we would not love our lives so much as to shrink from death. O Lord, hear our prayer. …………..References. Romans 5:3, Romans 8:17-18, 1 Corinthians 12:26, 2 Corinthians 1:5-11, Hebrews 13:3, Colossians 4:18. Philippians 1:12-13, Philippians 1:14, 2 Thessalonians 1:4-5, 11-1. Philippians 3:10, Deuteronomy 31:8, Matthew 28:20, Hebrews 13:5, Psalm 23:4, Psalm 16:10, Hebrews 13:3, Revelation 12:11 ……………Almighty God, who has taught us through your Son Jesus Christ that those who follow Him may be persecuted; strengthen, comfort and encourage all those who suffer harassment, violence, imprisonment and even death for being followers of Jesus. We pray for those who persecute your people; may their hearts be turned towards you through the faithful witness of those they persecute. Protect members of the families and church communities of those who are persecuted and bless the work and ministry of those supporting those who are suffering and seek to be a voice of persecuted Christians.Through Jesus Christ our Lord.Amen. PRAY ALSO FOR THE UNREACHED MILLIONS Revelation 7:9 The elect among every tribe and nation MUST be gathered in before the end comes! It will come our way! It’s already starting! I believe this mag is well worth the read and a stark warning. Note especially the way propaganda has been used and is being used against Christians and the church. Gracias por tus oraciones mi amiga.